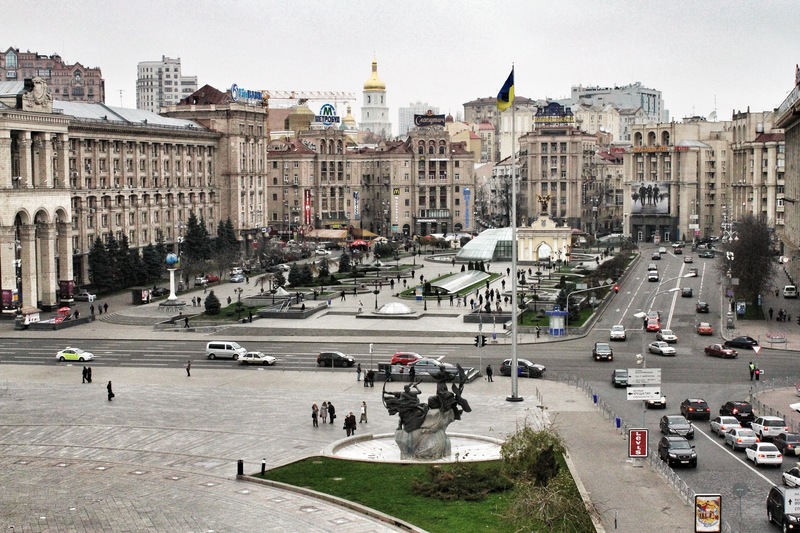 Independence Square in downtown Kiev is the public political center of Ukraine. 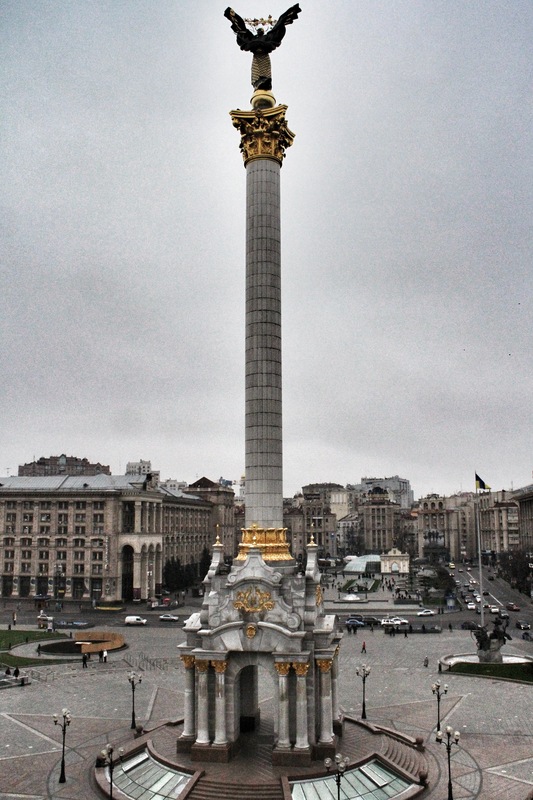 This view of the square shows the column erected in 2001 as a tribute to Berehynia, a female spirit from Slavic mythology that has come to symbolize a “hearth mother” that serves as both a nurturer and protector of Ukraine. Interestingly, the column was erected on the site of a former monument to Lenin. 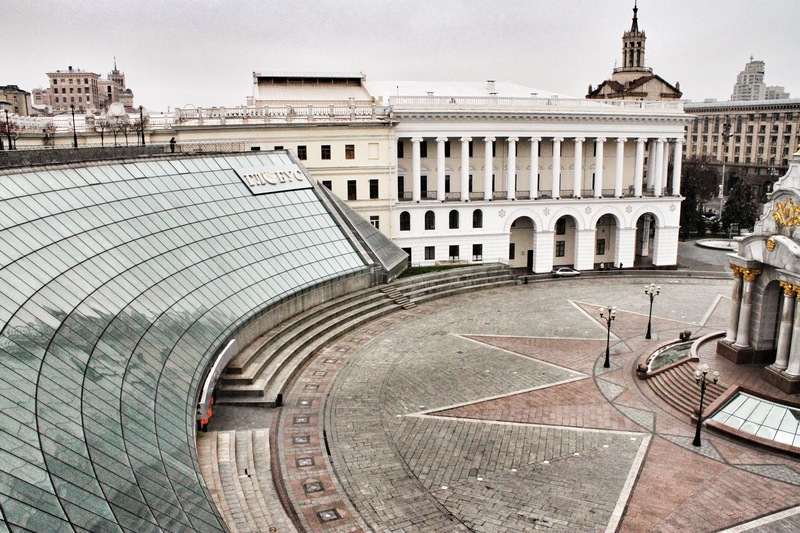 Over the years the square has gone by many names, including Soviet Square and Kalinin Square after Mikhail Kalinin, the first chairman of the Supreme Soviet of the USSR. The square became world famous in 2004 when hundreds of thousands of protestors to the national election occupied the square for weeks until an additional round of elections were ordered. There is a shopping mall under the square. Fascinating…What would Lenin have thought! ?